Dr Tom Heath is Head of Research at the Open Data Institute, where he has responsibility for developing and managing the ODI’s research programme. Reflecting the breadth of interest in open data this programme is multidisciplinary in nature, with an emphasis in the computing and social sciences, and includes both publicly and commercially funded projects. Tom oversees collaborative research proposals and projects involving the ODI, in addition to the institute’s internship and visiting researcher programmes. 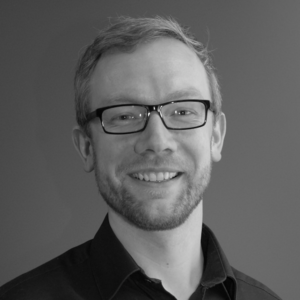 Tom joined the ODI from Talis Group, where he led internal research and data science programmes drawing heavily on Open and Linked Data. He is the co-author of several highly cited publications on the topic of Linked Data, and the recipient of a number of awards including Semantic Web Challenge winner 2007 and STI International PhD of the Year 2008/9. Tom has a BSc in Psychology from the University of Liverpool and a PhD in Computer Science from The Open University. Tom will be primarily responsible for leading delivery of DaPaaS work package six: impact creation, as well as supporting Saltlux in work package five: use cases and contributing towards the other technical work packages.